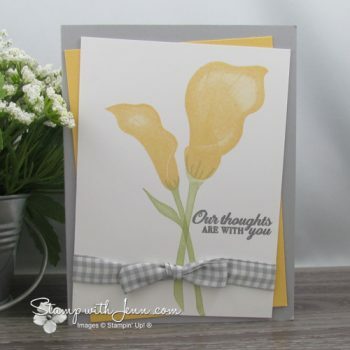 Sympathy cards are difficult to design as you need the right combination of images, sentiments and colours. 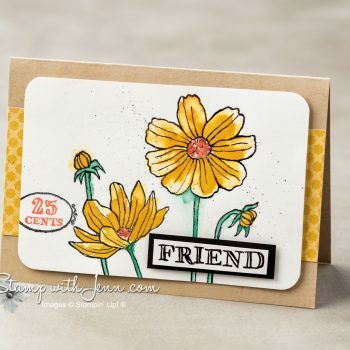 The “Lasting Lily” stamp set from Stampin’ Up! 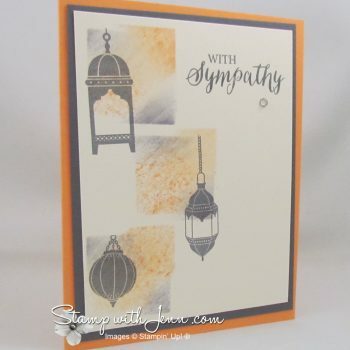 is a great stamp set for sympathy cards. 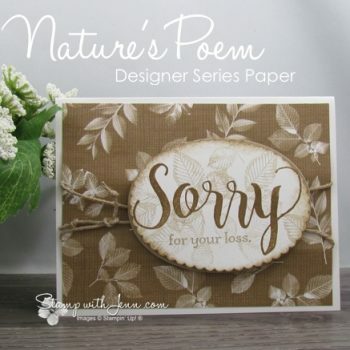 The new Nature’s Poem Designer Series Paper from Stampin’ Up! 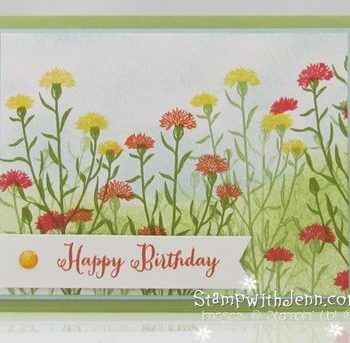 and the matching Rooted in Nature stamp set are perfect on a Sympathy card. Love the co-ordination of all of these pieces. 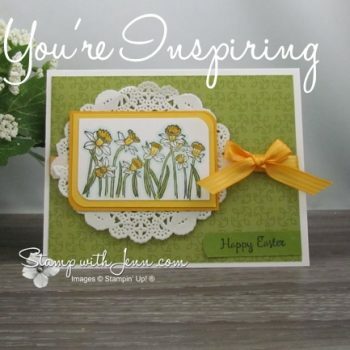 Tips for making this Easter card using the “You’re Inspiring” stamp set from Stampin’ Up! Stamp the pretty daffodils to make this gorgeous Easter card. 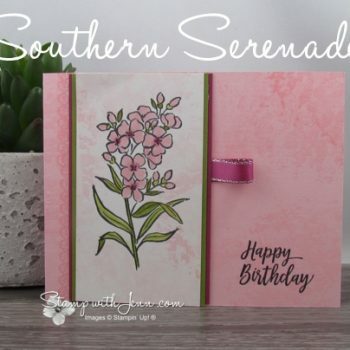 Southern Serenade is not just another pretty flower stamp set. With background (love the lace!) bits and awesome sayings, you will want this stamp set from the Stampin’ Up! Occasions Catalogue. 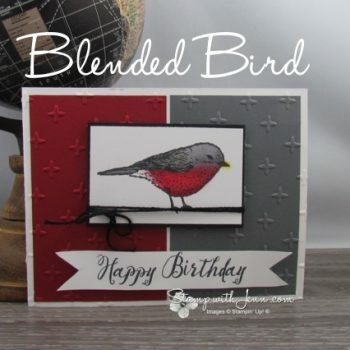 See the new Stampin’ Up! 2017-2019 In-Colors paired with a matching colour and the amazing new wood grain texture designer series paper stacks. All items will that be available in the new catalogue. 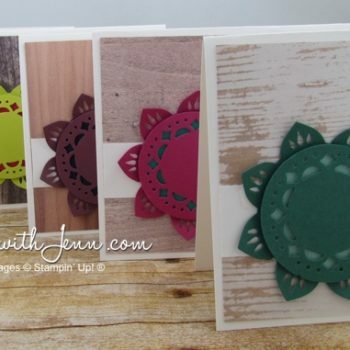 Get your copy of the new Stampin’ Up! catalogue for free. One of my favourite retiring stamp sets is the “Helping Me Grow” stamp set. I love that you can colour in the images or just stamp them in colour. Great for quick and easy cards.